When I took up the role of President some eight months ago, I called upon the Society to live up to its charitable obligation to make psychology relevant to citizens and the real world. We have been pretty successful. Among many other successes, we have been a driving force behind a charter on perinatal mental health, a moratorium on the use of psychiatric drugs for people with intellectual disabilities, the call by the BMA and the All Party Parliamentary Group on Prescription Drug Dependence for a national 24-hour helpline for people struggling to withdraw from prescription drug dependence, a charter on workplace wellbeing for mental health professions, the report of the All Party Parliamentary Health Group into public health and public mental health, and the NHS mental health Five Year Forward View. We’ve led discussions on issues such as acquired brain injury and offending, dementia and refugees and asylum seekers. We’ve been active and influential on the joint Department of Health / Department of Work and Pensions expert advisory group on work and health and influenced the content of the Green Paper on benefits reform – guided by our principled and active lobbying on the issues of benefits conditionality, and the failings of the Work Capability Assessment. I think there’s plenty to be proud of. It takes work to influence and we need to make sure we can take the time to listen. 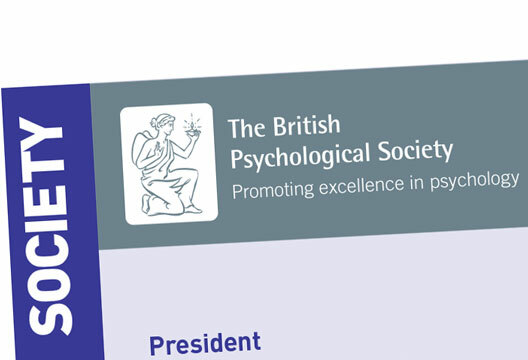 So I would like, in particular, to thank both the professional staff of the Society and the experts – both Members of the Society and members of the public – who have been prepared to be up-front and centre stage. This means continuing to promote the impact of high-quality psychological science; combatting the worrying idea that we live in a ‘post-truth’ world that has ‘had enough of experts’. It means reminding our politicians that we live in complex networks of social relationships, and that the politics of materialist atomism is fundamentally inconsistent with human wellbeing and flourishing. It means using the evidence we gather as professionals and academics to contextualise (and occasionally oppose) policies that threaten the wellbeing of the most vulnerable. And it means protecting and promoting both the discipline and profession of psychology, and our sister professions in academia and health and social care.